I have watched and loved performances by Alexander Skarsgård for roughly the last decade. Basically since the HBO award winning series True Blood and mini-series Generation Kill and through films like Hundtricket/The Dog Trick, Om Sara, Straw Dogs, Disconnect, What Maisie Knew, and The East. Skarsgård right off the bat left the impression of an actor with solid potential and a dominating presence (Not just because he is 6’4½” either). His range is varied as was evident in his role as Eric Northman on True Blood (vicious, lovelorn, innocent, etc.). I have long waited for Skarsgård to take the lead in a film. Perhaps I should have been more specific in my hopes by saying a well-written film. Skarsgård’s eyes say a lot without him muttering a word, but dialogue is still needed to further this action adventure narrative. I wanted to be wowed by The Legend of Tarzan, but the poor dialogue and timing was too annoying. The overuse of flashbacks (small chunks seemingly every 20 minutes) would not allow the viewer to stay in the moment. The flashbacks were necessary to the narrative, but the editing choices of the information were disruptive to the story. Tarzan did not have enough lines, and there was also too much focus given to the other characters like Lady Jane Clayton (Margot Robbie). I was starting to think the intent was “The Legend of Jane.” If Skarsgård had more lines, he would have seemed less stiff-necked and detached. Even among the tribes, Robbie was an insider while Tarzan was far removed. 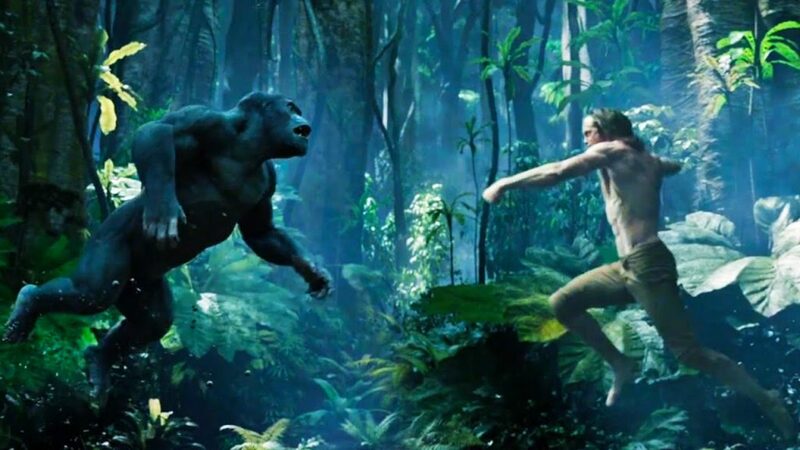 Wondering if Tarzan can be portrayed well with more dialogue, check out Greystoke The Legend of Tarzan, a triple Oscar nominated film. Christopher Lambert did the role of Tarzan justice with the great script that was provided. I believe Skarsgård could have done the same. A pleasant surprise was Samuel L. Jackson, as U.S. Ambassador George Washington Williams (bold move for the late 1800s), who brought a small measure of his usual comedic genius. Despite bad writing, Jackson pulled off a few bits of levity in this dry desert (some without dialogue). Jackson has a flexible arsenal of acting ability which I have observed for nearly thirty years in films like Coming to America, Jurassic Park, Pulp Fiction, Die Hard: With a Vengeance, The Long Kiss Goodnight, Coach Carter, and The Avengers series (including other related films to the series and the TV show Agents of S.H.I.E.L.D.). I will never forget his gut-wrenching role as Carl Lee Hailey in A Time to Kill. He has a way of spinning off truth in regards to race relations that the world needs to keep experiencing. Quite prominent in the film was Christoph Waltz as the villain, Leon Rom. Waltz excels at playing the villain as was also evident in Inglourious Basterds. However, at times, he was lacking in words or facial expressions were way off for the scene. Overall, The Legend of Tarzan directed by David Yates, was a disappointing adaptation of the Tarzan classic story. You may remember Yates for his work on Harry Potter films Harry Potter and the Order of the Phoenix, Harry Potter and the Half-Blood Prince, and Harry Potter the Deathly Hallows: Part 2. As memory serves, all were quite dark and maybe too much at times. Perhaps, Yates likes extremes. I enjoyed the slightly different take on life of Tarzan and Jane. Additionally, the theme of man’s relationship to man, nature, and animals peeps out, but isn’t fully expressed. The cinematography and special effects were decent, but control of lighting was lacking. What was perceived as the beautiful African plain was washed out, required sharpness, and overexposed. The bass was pushed a little far, too, especially in the fight scenes (not every hit is that hard hitting). The allure and what kept me in my seat was Alexander Skarsgård. Yes, Ladies, he is buffed up and fine in this film. Jackson helped, but the lines and jokes were too far apart for continual enjoyment. 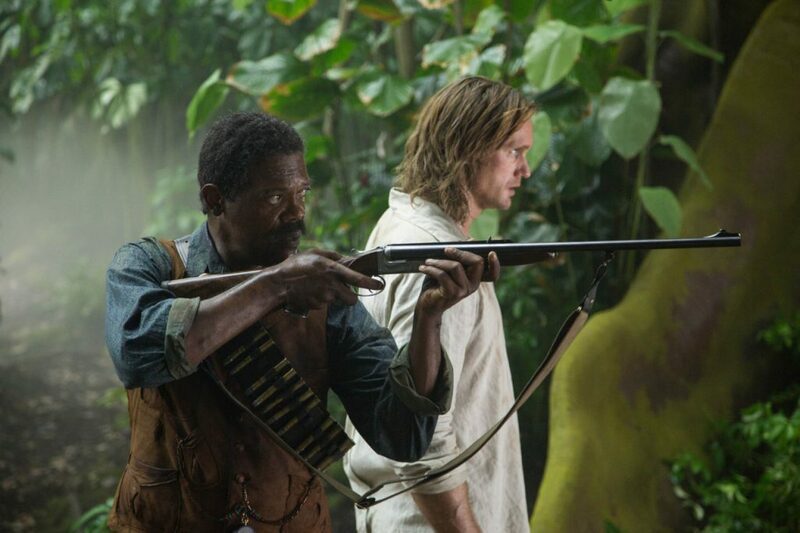 This is not to say that The Legend of Tarzan does not have any value, but it falls short of what it could have been. This entry was posted on Thursday, June 30th, 2016 at 9:17 am	and is filed under Film, News. You can follow any responses to this entry through the RSS 2.0 feed. You can skip to the end and leave a response. Pinging is currently not allowed. « AMC Is Extending ‘Preacher’s Run With A Second Season!! !